This accessible introduction to Julian’s Revelations of Divine Love, an extended reflection on a series of her mystical visions, includes an informative introduction that addresses the historical, cultural and sociological context of Julian’s life and writings. 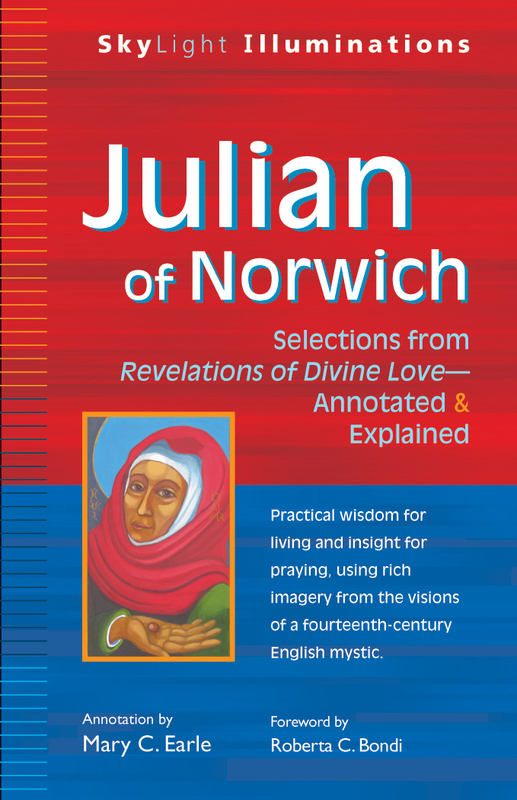 Mary Earle’s facing-page commentary focuses on Julian’s profoundly hopeful vision of humanity and God, her creative imagery and her rigorous honesty about the spiritual life. Drawing directly from Julian’s text, Earle addresses a variety of topics essential to understanding Julian’s mysticism, including the infinite nature of God, the life of prayer, God’s suffering with us, the eternal and undying life of the should, the motherhood of Jesus and the motherhood of God, “all shall be well” and more. SKU: 978-1-59473-513-4. Categories: Books, Mary C. Earle.